Westfield UTC ‘Uncorked’ Wine Walk Saturday, May 7 - San Diego Dining Dish! On Saturday, May 7, from 4-7 pm, Westfield UTC will be hosting a Temecula Valley wine event, Uncorked. 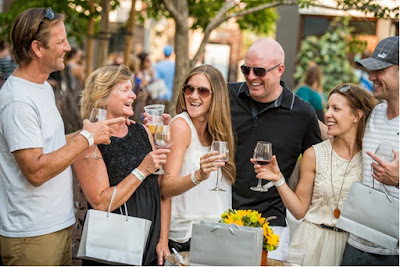 Participate in a self-guided wine walk to 4 wine gardens throughout Westfield UTC. Inside each garden will be 3 wineries and 1-2 restaurants. You will receive unlimited bites and (10) 1oz pours, a branded tasting glass, a tasting guide and a gift bag filled with retailer offers and giveaways. Enjoy live music during the event by local San Diego artists from Westfield UTC's Plaza Unplugged. Tickets are $20, and can be purchased HERE.